Stenhousemuir – Fleming, McCormack, Summers [b68], Meechan, Lithgow, K.Millar [b32][Grehan 59], McMullan, Faulds [B72], McMenamin, Marenghi [Fotheringham 35] and Watt [Gallacher 83]. Subs not used – Duncan, Wilson, Sutherland and Smith. Dunfermline Athletic, Scully, Millen, Whittle, Martin, Buchanan, McAusland, Falkingham [b37], Geggan [b12][O’Kane 90], Barrowman, El Bakhtaoui [Spence 85] and Hopkirk [Allan 80]. Subs not used – Byrne, Moffat, George and Goodfellow. With Bryan Hodge and Ross McMillan both still missing through injury it was the same starting eleven that took the field from the draw at Ayr the previous week. Dunfermline on the other hand made five changes from the previous week after they had dropped to seventh in the league their lowest position for quite some time. Although the Warriors were only one place further down the table there was a gulf in points with 13 points between the clubs. The visitors had the bulk of the play in the early stages with Faissal El Bakhtaoui in particular catching the eye. The Fifers were attacking down both wings but although the Stenhousemuir defence was stretched Greg Fleming in the Stenhousemuir goal wasn’t called into action until the 12th minute when he made a comfortable save from Andy Geggan. Stenhousemuir had rarely threatened but broke the shackles in the 16th minute and in a flowing move Ciaran Summers was denied when he struck a sweet shot that was stopped by a one handed save by Ryan Scully. Gregor Buchanan then saw a header clutched by Fleming before Ross Meechan at the other end saw his header land on the roof of the net. Dunfermline continued to have more possession but rarely troubled the home defence though in a rare lapse El Bakhtaoui was allowed to turn and shoot in the 26th minute but once again Fleming was able to save. Paul McMullan saw a 40 yard free kick tipped over by Scully and when the resultant corner fell to him the striker curled an effort just wide of the target. In the last minute of the half Dunfermline should have taken the lead when David Hopkirk picked out El Bakhtaoui who shot over the bar when he had time to pick his spot. That warning was not heeded though and the Pars took the lead two minutes after the resumption when El Bakhtaoui eventually got on the scoresheet after the Warriors had failed to clear their lines. Stenhousemuir did their best to get back on level terms immediately and Kieran Millar was unlucky to see an effort deflected for a corner in the 50th minute. It looked as if the best chance of an equaliser though would come from a set piece and McMullan had a free kick beaten out by Scully in the 63rd minute. 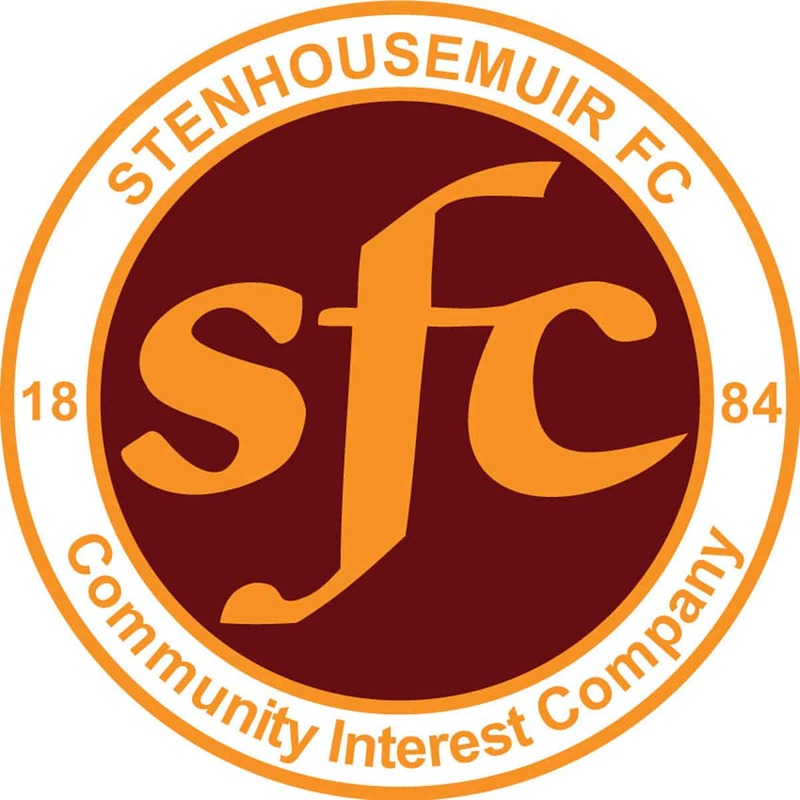 They were handed a lifeline in the 81st minute when the referee Craig Charleston awarded Stenhousemuir a penalty after he adjudged that Lewis Martin had handled in the box. The usually deadly Colin McMenamin stepped up to take the spot kick but didn’t hit it cleanly and Scully was able to save the shot. Dunfermline could have doubled their lead shortly afterwards but Fleming made a great save to deny Lewis Allan and keep Stenhousemuir in the game. The home side almost snatched an equaliser in the last minute when Jamie McCormack was picked out at the back post but his effort lacked conviction and was a routine save for Scully. In stoppage time McMenamin almost had a chance to make amends when the ball looked to be falling his way but a brilliant Kyle McAusland tackle put an end to that. The final whistle blew just after that and Dunfermline went away with all three points in a game that saw them have the bulk of possession but the Warriors had the better chances and will feel that they should have got something out of the game. The only relief at the end was that their closest rivals Ayr United had squandered a one nil lead in the 90th minute at Cappielow and had ended up losing the game and therefore Stenhousemuir maintained their slender one point margin in the battle to avoid the relegation play-off spot.